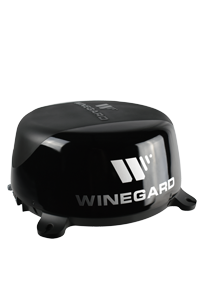 We have had the Winegard ConnecT 2.0 LTE and Wifi Extender as our backup internet connection for several months now. As it is not our only source of connecting to the outside world, I cannot attest to its complete reliability. We do use it under certain circumstances though, as I outline here. First, the ConnecT 2.0 is on the roof and connects to the campground wifi. When we first set it up, it would occasionally lose the connection and I would have to reconnect, but it has not been doing that for the past month or so. I’m not sure if something at the campground changed and the signal is stronger or if an update to the ConnecT 2.0 fixed something in the firmware. Either way, when I need to connect to it, it is usually already connected to the campground wifi and I do not have to make any changes. 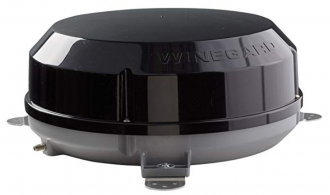 Second, since the ConnecT 2.0 is up on the roof, it broadcasts a better signal than our wifi router inside does. The one inside seems to have issues forcing a signal through the aluminum siding of our RV, so when I sit outside under the awning, connecting to our router can be problematic and slow. 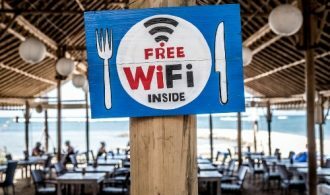 When that happens, I connect to the ConnecT 2.0 wifi network and use the campground wifi instead of our hotspot. It seems to be a bit better speed and good enough while I’m sitting outside, though I do lose the connection to our RV’s network and thus cannot connect to any devices inside the RV. Our ConnecT is set up as the backup internet source for our router. We have a PepWave SOHO Mk3 that broadcasts a wifi signal and is tethered to a modem over USB. If that modem ever goes down, the PepWave switches over to the ConnecT network, which is then connected to the campground wifi. It is not as fast as our hotspot usually, but it still works well enough. It is also usually temporary and our hotspot eventually comes back online or needs a reboot. So in our situation, the ConnecT 2.0 does what it needs to and works well. I do still wish it had an ethernet port to connect to a router inside so we could connect as much as possible over ethernet instead of wifi, but that’s just not possible with this model. We also have not used the LTE function of the ConnecT 2.0 yet. There is a Verizon prepaid plan that I think will work with it, but since our AT&T hotspot has been working fine so far and is very affordable, we haven’t had a reason to look into other options quite yet. I probably will eventually get the prepaid Verizon plan though as I’ve heard good things about it, but that is going to have to wait a little bit.